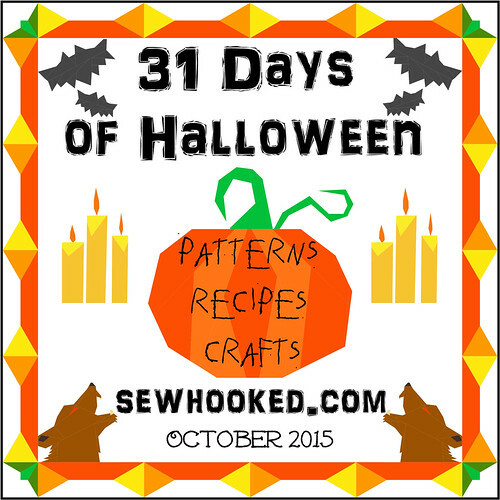 It’s Monday, October 5, and that means another fun post for the 31 Days of Halloween right here on Sewhooked! 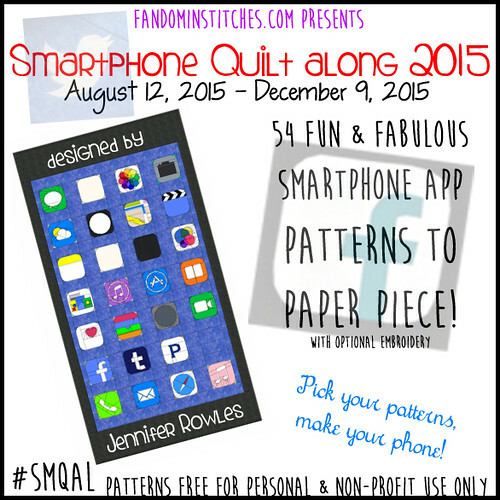 Today, I thought I’d share two free paper pieced patterns that I designed for fandominstitches.com, but that work beautifully well for Halloween, too! The first up is my Vampire Fangs pattern, designed with my vampire-loving friends in mind. I still love those chompers! 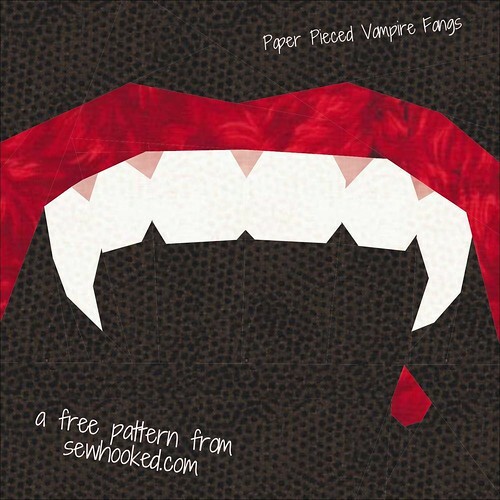 Vampire Fangs is 5 1/2″ (5″ finished) paper pieced and absolutely free! Prefer Craftsy? You can download it there, too! Next, how about a spooky Howling Wolf? While I imagine him as a werewolf, use your own imagination as to where he might fit in your Halloween plans. He’s shown here as part of a cushion I made for a friend ages quite some time ago. I still love that circle fabric in the border! 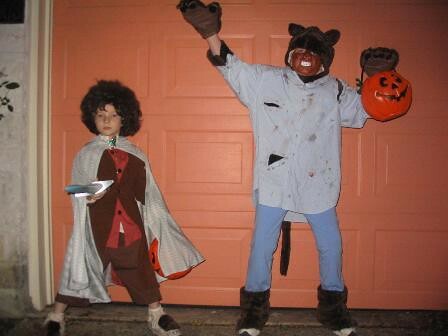 Here is my own Howling Wolf, along with her little brother, Frodo, from way back in 2004! 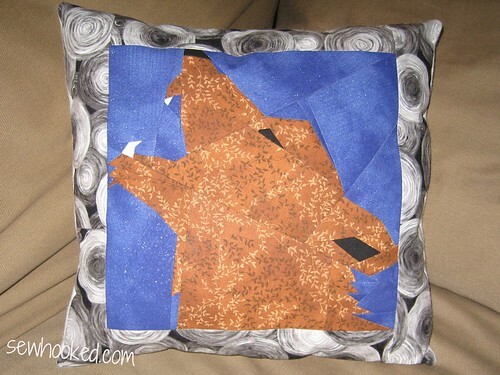 The Howling Wolf pattern is 5 1/2″ (5″ finished) and absolutely free. If you prefer, download the pattern from Craftsy! See you tomorrow with Talk To Me Tuesday and more Halloween fun! This entry was posted in Free Patterns, halloween, paper piecing and tagged 31 Days of Halloween, free pattern, halloween, howling wolf, paper pieced, vampire, vampire fangs, wolf on October 5, 2015 by Jennifer Ofenstein.